Milan have had a slump in form since the takeover. But we have miraculously gotten enough draws to stay in sixth place on the table. Most Milan fans are kind of over this season anyway, though. Bologna are mathematically safe from relegation but not in the same continent as a European spot, so there might not be a lot of interest in this game. Except for one thing: the new kits. Response has been very positive toward the new first kit so far, so perhaps people will tune in for that. But will the new kits inspire a win? Or will they be like the Emperor’s New Clothes? Some former Milan great called Donadoni is somehow still coaching Bologna. When they heartlessly destroyed the already relegated dolphins of Pescara last week 3-1, Mister Roberto “I’m still here, Milan” Donadoni lined up Mirante; Helander, Maietta, Torosidisl Mbaye, Verdi, Twider, Donsah, Destro, Krejci, and Di Francesco. Donadoni will be without Viviani, Masina, Valencia, Dzemaili, and Nagy so their trip to the San Siro will be that much harder. 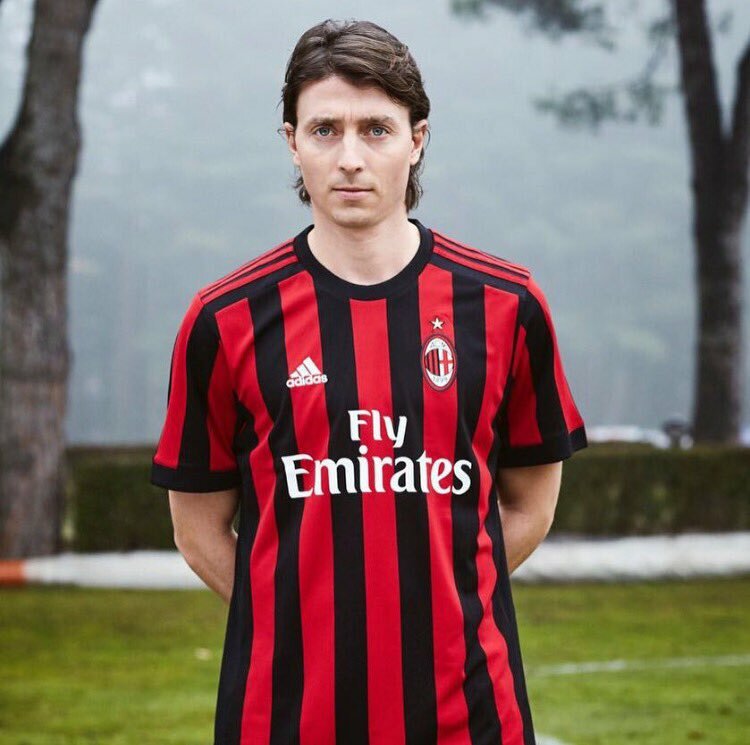 But hey, have you seen the new Milan kits? Montella will be missing all of his decent fullbacks to injury: Antonelli, Abate, and De Sciglio, as well as Bonaventura, of course. Additionally, Suso will miss due to card accumulation suspension. But will that even matter? Milan will be playing in our new kits. In summary, I don’t know if anyone really cares that much about this game. What’s important are the new kits. Everyone will be clamoring for their own, too. It’s a fantastic jersey. Whether Milan win or lose is secondary to how great those kits are going to look on our players. And how well they play will depend on if they wear those kits with the hearts of the champions who inspired them, or if they just put them on like the Emperor’s New Clothes.